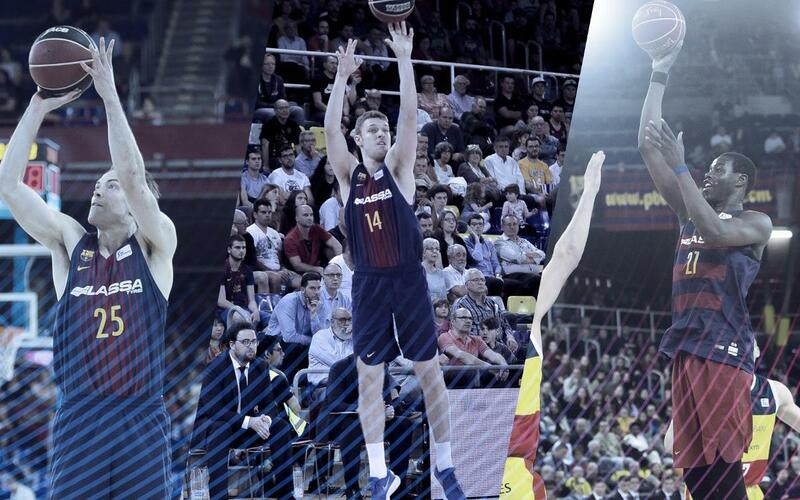 FC Barcelona Lassa and players Sasha Vezenkov, Moussa Diagné and Petteri Koponen have reached an agreement to end their contractual links with the Club. The Club wishes to thank them for the professionalism shown during the seasons that they have worn the Blaugrana shirt, and wishes them the best, both professionally and personally. Vezenkov arrived at the beginning of the 2015/16 season from Aris de Salónica. The Bulgarian has won four titles with Barça Lassa: Two Catalan leagues, one ACB Supercup and one Copa del Rey. Diagné joined in the 2015/16 season from Fuenlabrada and won the ACB Supercup. For the 2016/17 season he returned to his previous club on loan until January, and then Barça brought him back to play the Endesa League and the Euroleague. During the 2017/18 campaign went on loan to MoraBanc Andorra. Koponen signed at the beginning of the 2016/17 campaign, from Khimki. He won a Copa del Rey and a Catalan League in both campaigns that he played with Barça Lassa.